Fred Evans' violent death during the 1912 Waihi miners' strike made this otherwise obscure figure into a martyr of the New Zealand labour movement. He remains one of only two people to be killed during an industrial dispute in this country's history. Evans was born on 11 February 1881 in the Australian mining town of Ballarat, Victoria. 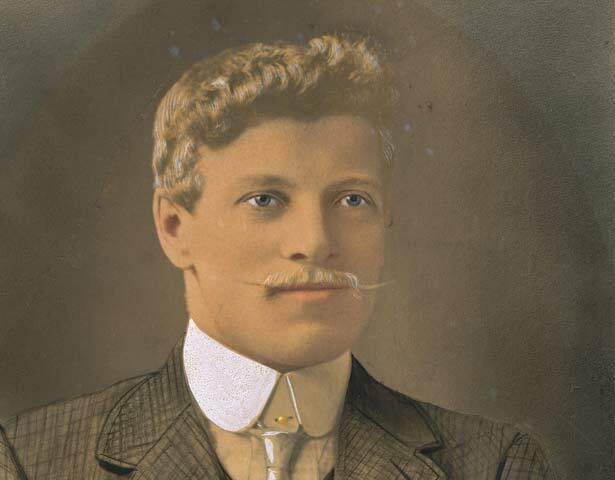 He married in 1906 and three years later came to New Zealand with his wife and two small children. By 1912 he was working as a stationary-engine driver at the Waihi goldmine. Evans belonged to the Waihi Trade Union of Workers (WTUW), then led by future Labour Cabinet minister Bill Parry, who was also Australian-born. This union was affiliated to the militant New Zealand Federation of Labour (FOL, or 'Red Feds') and was bitterly opposed to the Waihi Goldmining Company. In April, encouraged by the company, a group of engine drivers formed their own union, and in June it was registered under the industrial arbitration system. The miners demanded these men be dismissed. When the company refused, the WTUW went on strike on 13 May. Refusing to join the breakaway union, Evans acted as provision storekeeper for the strikers, and was an occasional correspondent for the FOL newspaper, the Maoriland Worker. In September the government sent extra police with horses, batons and firearms to Waihi. Almost 70 of the leading strikers were arrested, including Evans; he was found guilty then discharged. The strikers' position worsened after the mine was reopened with ‘scab' labour on 2 October. Violence escalated in early November. On Friday the 8th Evans was caught up in a street fight. His wife May – who, like many of the strikers' wives, took a prominent role in the dispute – came to his defence, shaming a policeman into walking away rather than hitting her. After further clashes on the Monday, strikers agreed with police to reduce their pickets at the miners' hall. Early on Tuesday 12 November, Evans arrived at the hall to relieve one of the three or four men still on duty. Soon after, a crowd of strike-breakers, backed by police, stormed the hall. During a struggle at the door, strikebreaker Thomas Johnston was shot in the knee, possibly by Evans. As the unionists fled out the back of the hall, Constable Gerald Wade was shot in the stomach, but managed to strike Evans down with his baton. The striker collapsed under a barrage of boots and blows. Evans was left for an hour and a half in police cells before being taken to hospital. He never regained consciousness and died the following day. Johnston's and Wade's injuries were slight. At the inquiry into Evans' death, Constable Wade was found to have been ‘fully justified in striking deceased down’. The FOL organised a huge political funeral in Auckland, where thousands of mourners lined the streets; unionists later raised £1100 to assist May Evans and her children. Fred Evans was buried at Waikaraka cemetery on 17 November. We have 1 event in history, 3 biographies, 7 articles, related to Fred Evans.